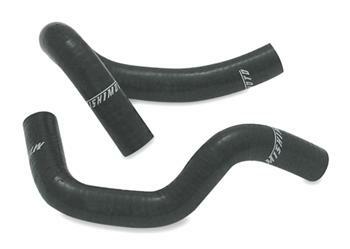 Mishimoto silicone heater hose kits MAZDA - MiataRoadster - Stay tuned with MiataRoadster! Mishimoto silicone heater hose kits are exact replicas of Mazda factory rubber hoses, provided to Mishimoto by MiataRoadster. They combine high-grade silicone and heat-resistant embedded fibers which provide exceptionally efficient heat reduction, increased pressure tolerance, and a lifetime of satisfaction.